Okay so I didn’t blog yesterday. Why… because I got stuck in reading blog after blog after blog about Pinterest, blog traffic through Pinterest, how to get you blog photo to be popular on Pinterest, how to organize your pinterest boards, how to write you pinterest profile, then a few hours on pinterest until 1:30 in the morning. Writing about everything I had just read wasn’t going to happen. Not only did everything I just read need to stew in my mind for a bit, but I could barely keep my eyes open. I give in so I can make a pot of coffee, wash my face, wake up a bit (when did I loose that kiddo thing of waking up ready to go now?) and join kiddo on the sofa to watch some fantastic cartoons, sip my coffee hoping it will remove the sleeping dust from my mind and switch on my laptop. Emails, bank accounts checked…on to Pinterest. Yep I am a addict. Number 1: Make sure ever post has an eye-catching image (okay so not this post, but it will happen). Something people would want to pin. This is one of the areas I feel I seriously need to improve. Photographing is tricky, but I now have a pile of books about it, I will improve one way or another! Number 2: When writing your diy posts, make them as “you need to make this” as possible. Do this my using awesome photos (geez) of the final product, super easy to follow directions and talk about dollars “It only costs $5 to make this awesome do-hickey” People tend to like thinking they could make that with little dollars. Number 4: Make it easy for readers to “Pin It.” There are simple and tricky ways of doing this. Wordpress has the option to have the pin-it button on every post, but there are ways to have the “pin-it” button right on your image. I will be working on figuring this out, and will share with you how to do it, once I get it. Number 5: Follow and comment on others blogs and pin boards. Get social. It’s what it’s about, in a way. I don’t really think of commenting as a “social” moment, but I understand what this tip is getting at. You have to “play to game, to get the game” right? Number 6: Make your pins a reality and blog about it. If you are actually doing what you pin (congratulations! so am I) you should share that you did it. Start a board entitled “I pinned it and did it” or something like that. You can even blog about it if you want. So there you have it, a beginning to getting your blog posts out there in the pinning world. I am going to improve on all of these and maybe spend a little less time pinning…HA HA HA. Off to start one of the thousands of projects I have pinned, I am sure I will be sharing it with you. 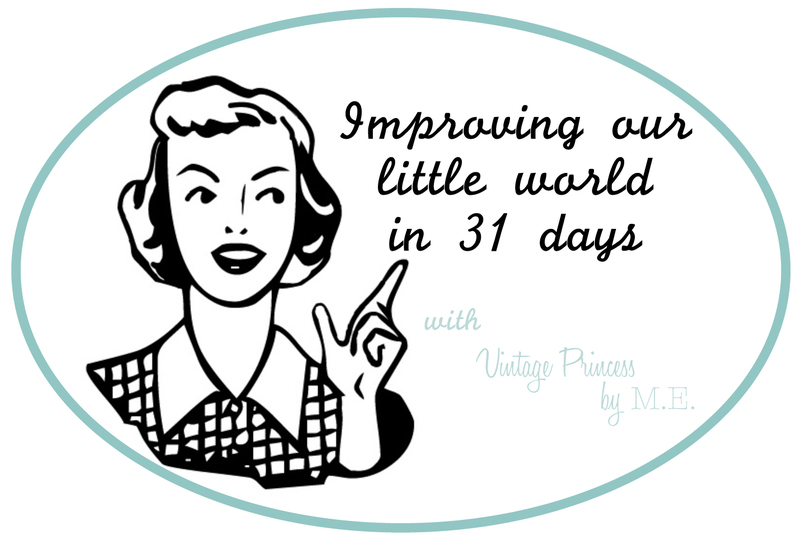 This is day 11&12 of 31 day’s of improving our little world…it’s my world I can combine days right? < Improving day 10: I am so happy…. ..You were also out in the freezing weather keeping our little babes safe! I missed a day, too! 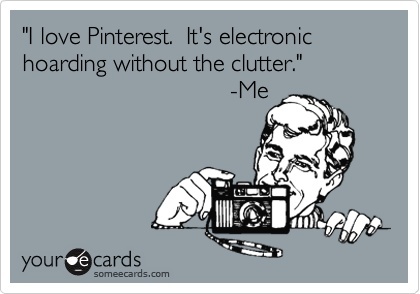 Oh, Pinterest….